US President says Syria likely shot down a Russian military plane near its coast. 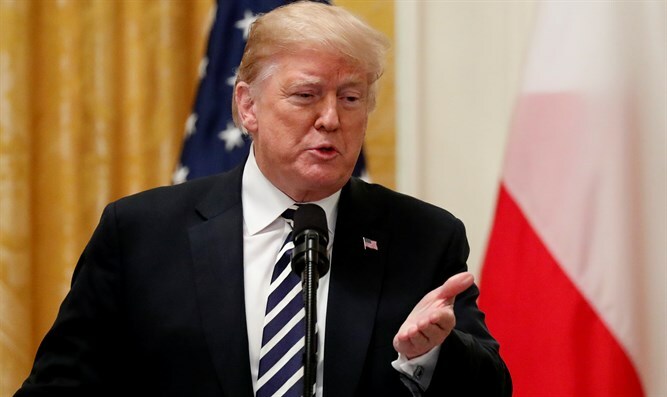 US President Donald Trump said on Tuesday that Syria likely shot down a Russian military plane near its coast. “It sounds to me and it seems to me based on a review of the facts that Syria shot down a Russian plane. And I understand about 14 people were killed and that’s a very sad thing but that’s what happens,” Trump said at a joint press conference at the White House with Polish President Andrzej Duda, as quoted by Reuters. The Russian Defense Ministry earlier on Tuesday blamed Israel for the downing of an Ilyushin IL-20 turboprop reconnaissance over Syria. The Prime Minister noted the importance of continued security coordination between Israel and Russia, which has succeeded in preventing many losses on both sides. Netanyahu stressed to the Russian President that Israel is ready to provide Russia with all the details of the investigation of the incident. Netanyahu proposed to send the commander of the Israeli Air Force to Moscow with all the relevant information.